If you are visiting Cape Town for the first time and you are at a loss for what to do, your best strategy would be to chat to a local. Everyone knows about Table Mountain and Robben Island but if you want more than just the run of the mill experience, you need to find out where the locals hang out. But which locals will know what will suit you and your particular travel style? Well, look for someone you think you could relate to. If you are a backpacker, chat to fellow backpackers. The owners of the establishment could also offer insights on how you can get down and dirty in the city while also suggesting areas where you may need a large dose of common sense and street savvy. If you are reading this in your trip planning phase and still need to book your accommodation, check out the accommodation options available on SA Venues. If you are a couple, well you have a wealth of couples you can get to know at the nearest cocktail venue or restaurant. For families on the other hand, all you need to do is to hang out at a local market or a nearby park to pick up some tips of what you should see, before you head home. Do yourself a favour and take the scenic route to Hout Bay by using Chapman’s Peak. Take our time and prepare to stop at at least 3 viewing spots along the way to just marvel at the beauty and take some pictures. The road is quite twisty and narrow at times so rather stop to take pictures than try and click while you drive. Then head to the harbour to share a portion of fish and chips. The locals love fish and chips with loads of salt and vinegar so, go for it. Once you have licked your fingers, head out for a walk on the pier or kick off your shoes and paddle in the surf. It is a very satisfying way to spend a sunny and wind free afternoon. If you have time and you are on your way back to your accommodation in the city, stop off at The Promenade in Sea Point. You can choose to start your stroll near the public swimming pools where you get to see locals honing their skills on the diving board or you can drive a little further and stop near the lighthouse in Mouille Point. The benefit to stopping at the Green Point lighthouse would be that it is ideally located to some of the best casual restaurants that Cape Town has to offer. But if all you want is an ice cream cone, you can get that too. Now that you have spent some time on the Atlantic side of the ocean, it’s time to head back to the Indian Ocean side and spent the day exploring Kalk Bay and St James. The best thing about the St James tidal pool is that it is a treasure trove for kids who love uncovering the mysteries of the sea while they paddle in the shallows. The older kids on the other hand, will spend hours swimming and splashing to their heart’s content. With it’s colourful changing rooms and close proximity to the train station, it is perfect if you don’t have access to a rental car and you’d like to turn one day into an adventure. I was so tempted to sneak another beach in here but I will restrain myself. 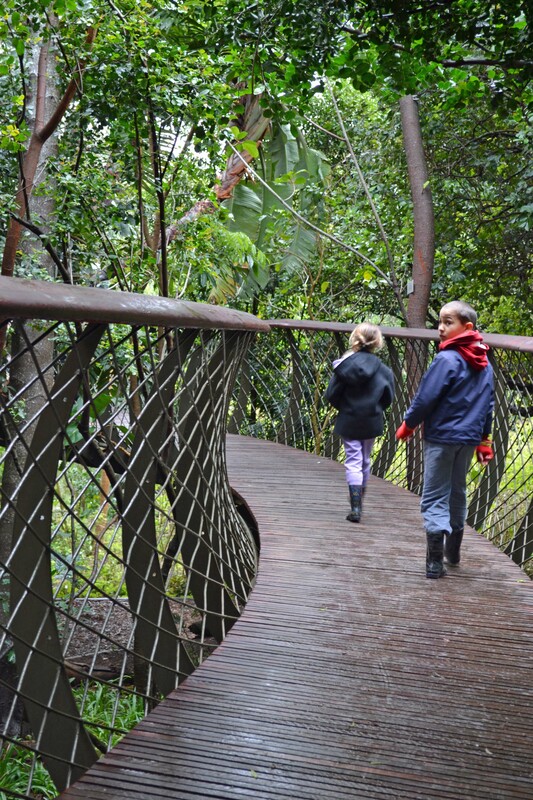 One thing the locals love doing all year round is exploring our botanical garden. Whether you choose to simply pack a picnic and spend the day of the rolling lawns or whether you would prefer to tackle a hike instead, there is something here for everyone, no matter what your fitness level. The summer sunset concerts are a long awaited treat every year and it is a great way to experience the gardens while listening to a concert. Concerts take place between October and March and tickets can be purchased online. This final spot was tough to fill, simply because there were so many places I wanted to recommend. 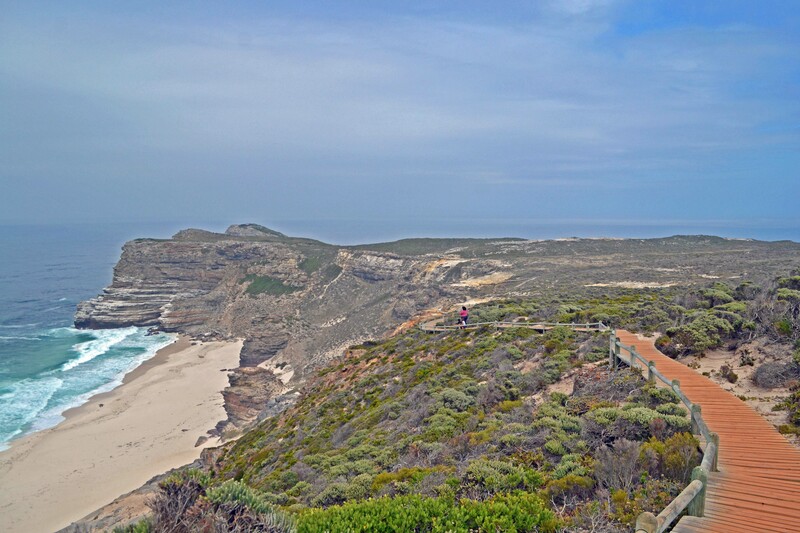 The thing about Cape Point is that while it seems like a run of the mill stop that is advertised by every website and guidebook, there are a million more places to discover than just the lighthouse at the top. Like finding the beacons or going on a hike to find a ship wreck or hiking to the working lighthouse just below the more prominent lighthouse at the top.. There are so many reasons why you need to hire a car and explore it for yourself. You can spend an entire day uncovering new places to explore after you have followed the masses to the top of the hill. This post is not meant to take anything away from the wine farms or Table Mountain or Robben Island – there is a reason why all these places are raved about in the guidebooks. There is just more to Cape Town than just these places and I hope this post encourages you to get out there and see them for yourself. Disclaimer: This post has been sponsored by SA Venues but all words, thoughts and pictures are our own.